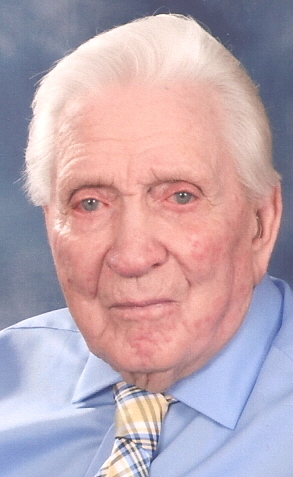 James Carson Efird Sr. 94 of Oakboro died Wednesday Evening, August 29, 2018 at Stanly Manor. Funeral Services will be held at 11:00 AM Saturday, September 1, 2018 at Providence Church of God. Rev. Jerry Ingle and Rev. Lonnie Groce will officiate and interment will follow in the church cemetery with full military honors. The family will receive friends one hour prior to the service at the church. Mr. Efird was born July 31, 1924 in Stanly County to the late Jacob Cicero and Rosa Burris Efird. He was a veteran of the United States Marines during WWII having served in Iwo Jima and Guam. James was a faithful member of Providence Church of God where he had served as a Sunday School Teacher for over 70 years, an usher and maintenance of the church property. He was a retired supervisor for Collins and Aikman in Faith. James loved witnessing to everybody he met about his Lord and Savior with the plan of Salvation. He was known for growing ambrosia cantaloupes and tomatoes. His bright blue eyes, radiant smile, love and hugs for everyone he met. He loved reading his bible, working outside in his garden and his woodworking shop. He was preceded in death by his first wife Cleonia Burris Efird and Thirteen Brothers and Sisters. He is survived by his wife Shirley Shinn Efird of the home. Two sons, James C. “Jim” Efird Jr. (Elaine) and Wayland Glenn Efird (Janet) all of Oakboro and one daughter, Bonita Efird Thompson (Kevin) of Oakboro. Six Grandchildren, Jeff, Neal, and Daniel Efird, Jeremy Efird, Hannah Stroupe and Jason Thompson and Seven Great-Grandchildren. Four Step-Children, Seven Step Grandchildren, Six Great-Grandchildren.